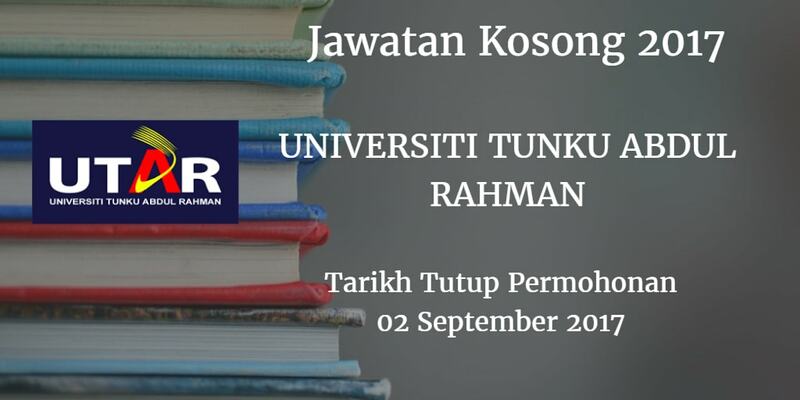 Universiti Tunku Abdul Rahman terkini terbuka sepanjang tahun 2017. Sukacita dimaklumkan bahawa terdapat pelbagai kekosongan jawatan Universiti Tunku Abdul Rahman akademik dan bukan akademik berikut. Peluang kerjaya di Universiti Tunku Abdul Rahman . Universiti Tunku Abdul Rahman would like to invite qualified candidate to fill in below vacant position vacancy. Candidates without PhD but with strong teaching, research & publication record from reputable universities may be considered. Please indicate position applied for on the top left-hand corner of the envelope.